Green hues help to bring some of nature back in to the home and work especially well if you have a kitchen that looks out on to a garden. 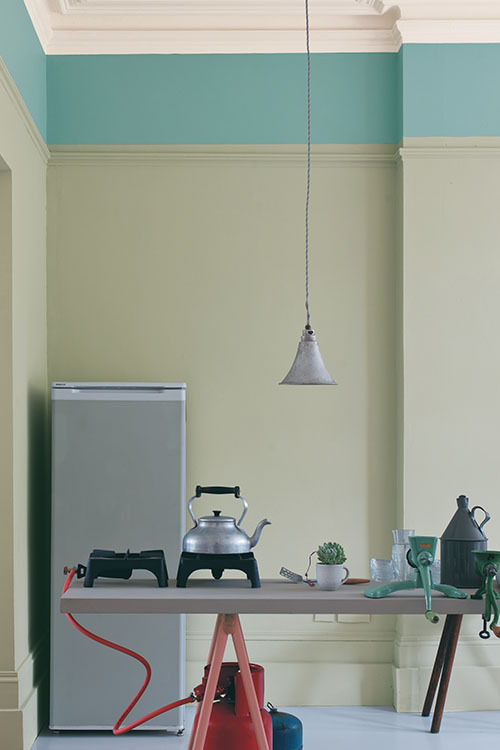 Mizzle is a beautiful grey green that could be used on your cupboards to complement a neutral shade on the wall, such as Dimpse. 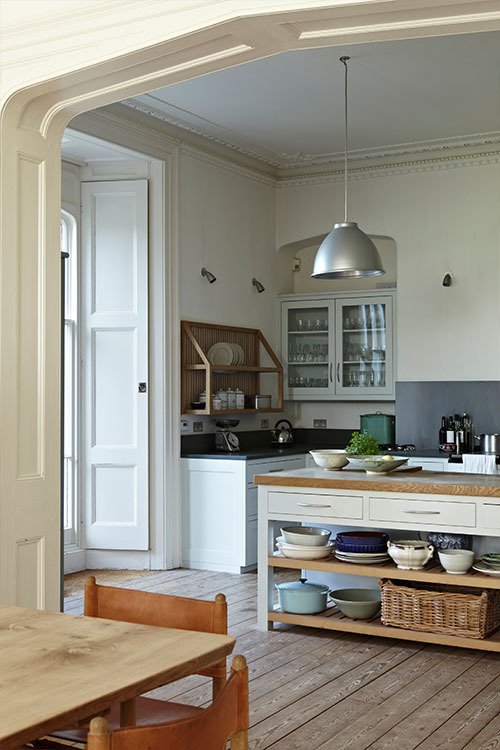 Pigeon is another wonderful and easy to live with colour; darker than Mizzle but with the same calm, grey properties it’s ideal for painting a kitchen island. Kitchens are a great place to add striking colour, adding interest to the rooms which can be dominated by white or chrome appliances. 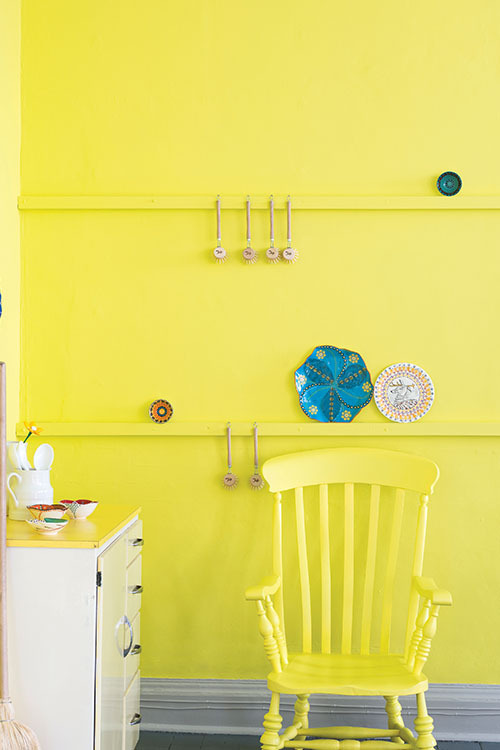 Sunny yellows, rich reds, and retro oranges will all provide an injection of colour to a kitchen. 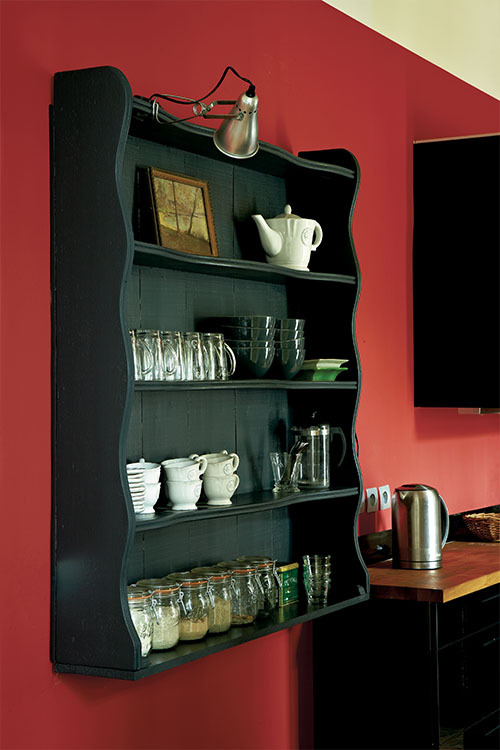 Painting cabinets is a quick and simple way to upgrade the look of your kitchen. Depending on the look and amount of sheen you’d like, you can use either Estate Eggshell or Full Gloss, both of which are available in all 132 colours. 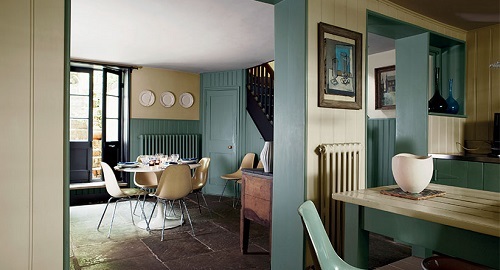 If you want the cabinets to become the focal point of the space choose richer colours like Pelt or Railings. These strong tones, particularly if used on lower level cabinets, will really ground the space and make everything above them seem lighter. 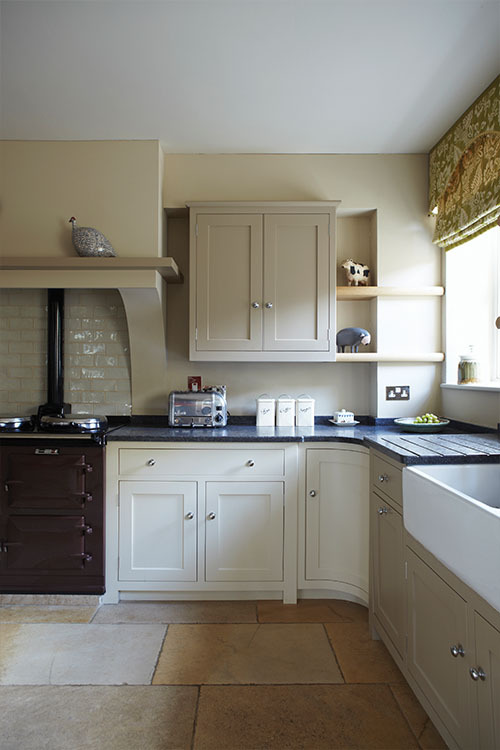 For a classic look, paint cabinets London Stone, against Savage Ground walls, or for something more contemporary paint cabinets Strong White against Cornforth White walls.